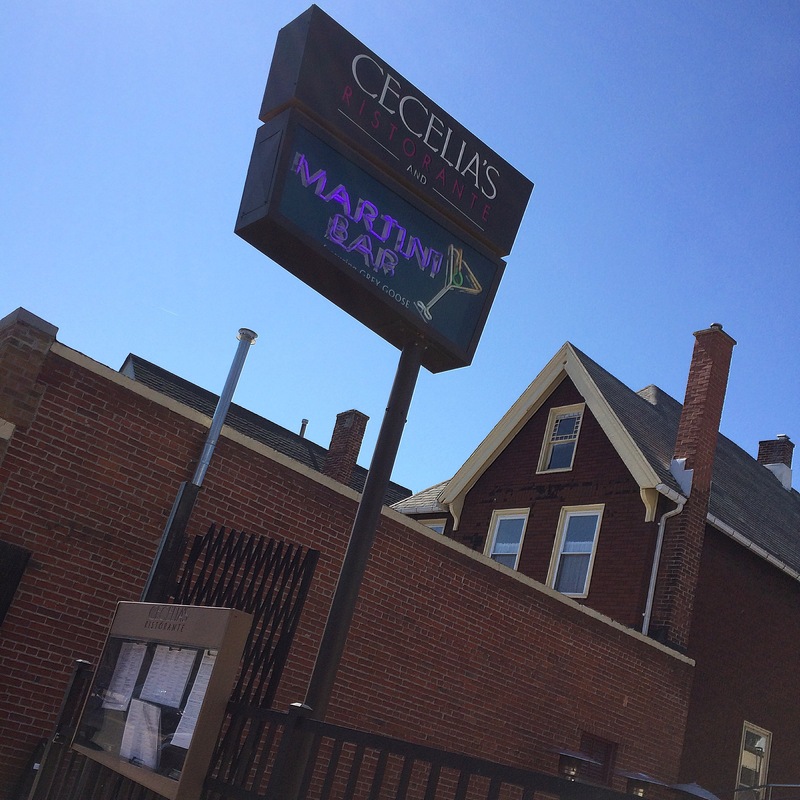 For the second half of our overnight in Buffalo, we started Sunday morning with brunch at Cecelia’s. Cecelia’s a small restaurant located on Elmwood across from Blue Monk. I’ve blogged about it before. The last time my wife and I were at Cecelia’s was a weekday, and we ordered off the lunch menu — a salad, pizza, hamburger and other delicious lunch items. However, the first time we ever ate at Cecelia’s was several years ago on a Sunday, and the brunch we had was one of those meals that the two of us have brought up to each other time and time again throughout the years. Thankfully, we were lucky enough to get seats at the bar this trip. We didn’t have reservations for brunch and there weren’t any tables available. 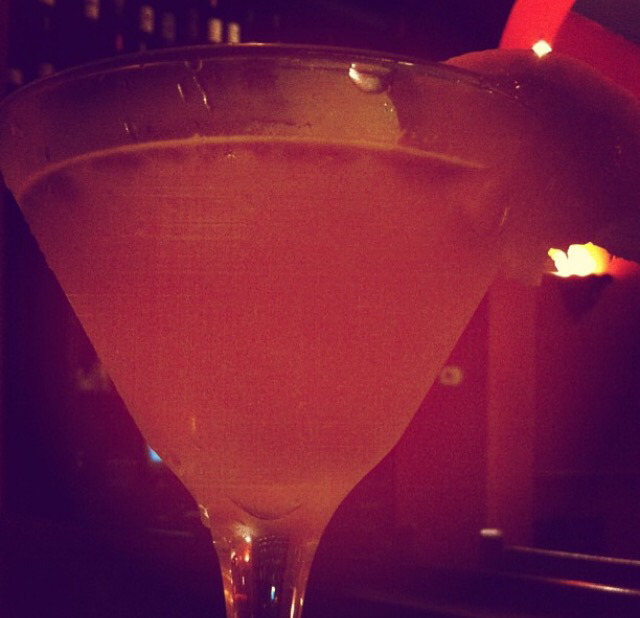 Since it was 11 o’clock, no one could drink (as per New York State law). But like clockwork, the mimosas started flowing right at noon. Everyone who orders one of the restaurant’s premium brunch dishes is entitled to a free mimosa. By 12 o’clock though we were just about done with our meal: a crepe to share and a dish of their eggs Benedict for each of us. 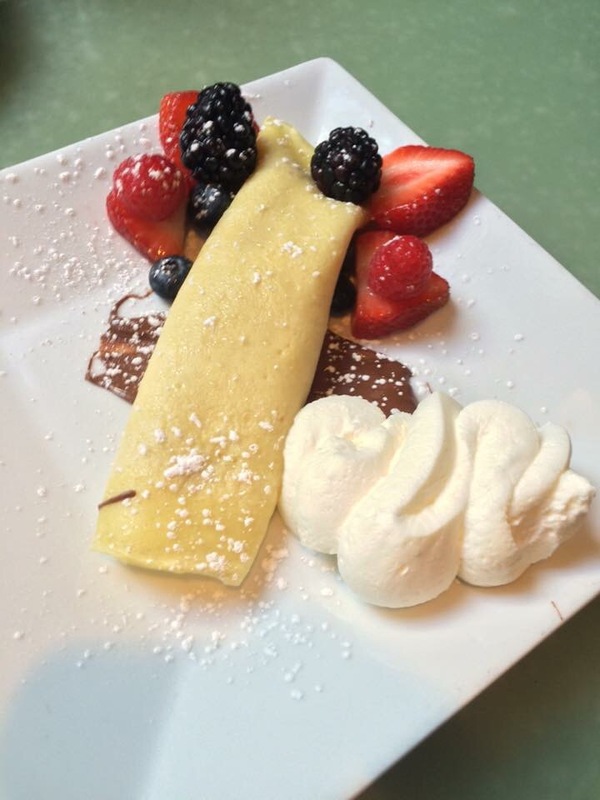 Even though we were each entitled to a mimosa, we passed on them — and that would have been the end of our Cecelia’s experience but I saw a bottle of Strega behind the bar. 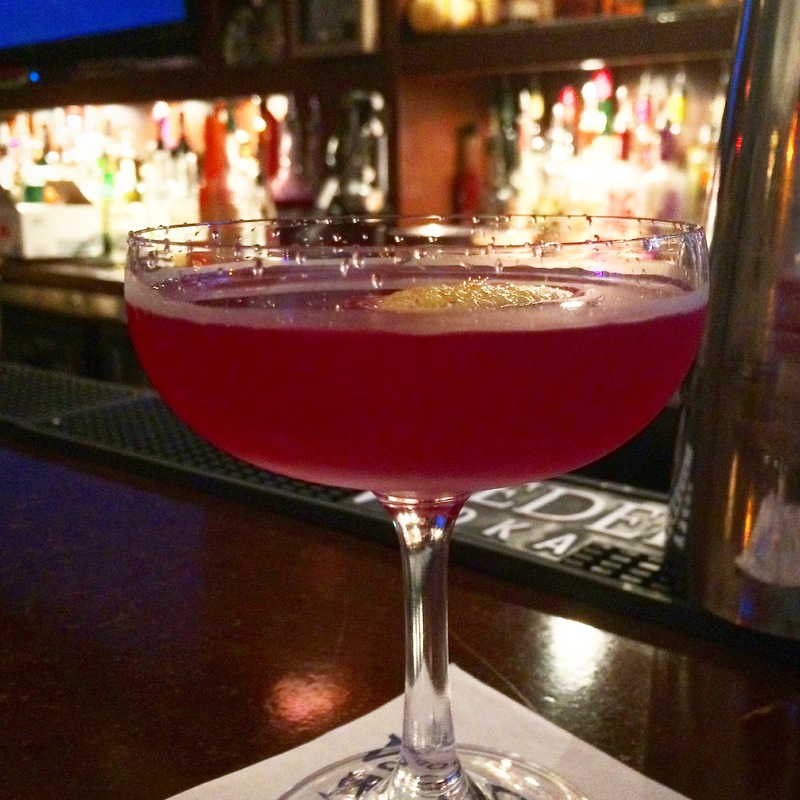 The last time I was at Cecelia’s I got to try an amaro is never had for the first time. And so similarly this trip I decided to end my meal with a shot of Strega. Strega is an Italian herbal liqueur that’s been in production since 1860. Like so many bitter digestifs, it contains saffron which gives it its yellow color — though it’s a little less yellow than Galliano. 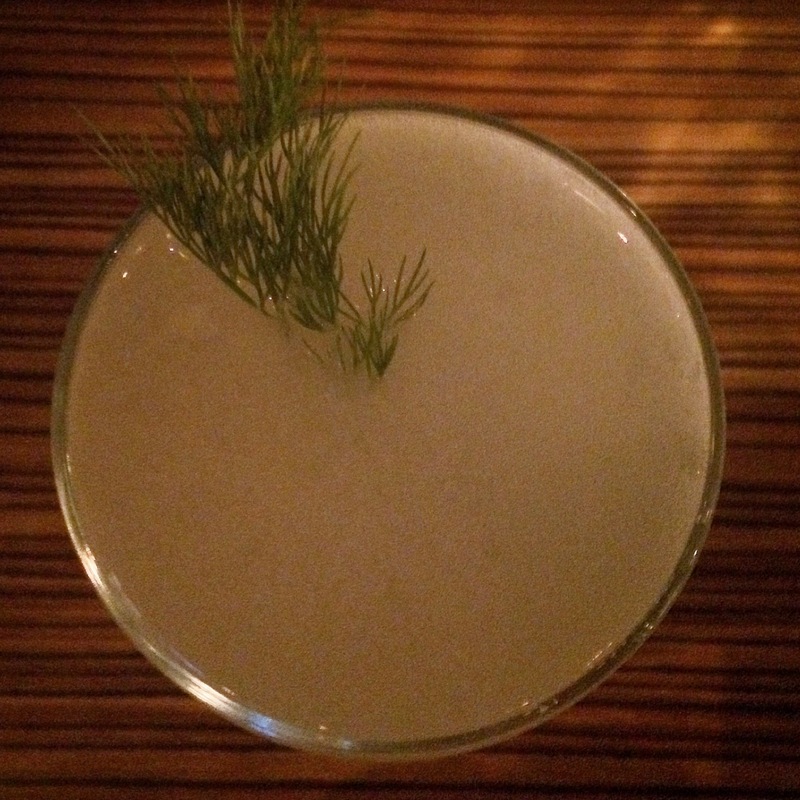 Although it’s termed a liqueur, Strega is 80 proof (40% abv) and among its 70 herbal ingredients are mint and fennel. It is slightly sweet, semi-viscous, and has a bold, complex flavor with strong minty or coniferous notes. Another neat fact about Strega is that it’s the Italian word for “witch,” which made it an appropriate drink for the Halloween weekend. 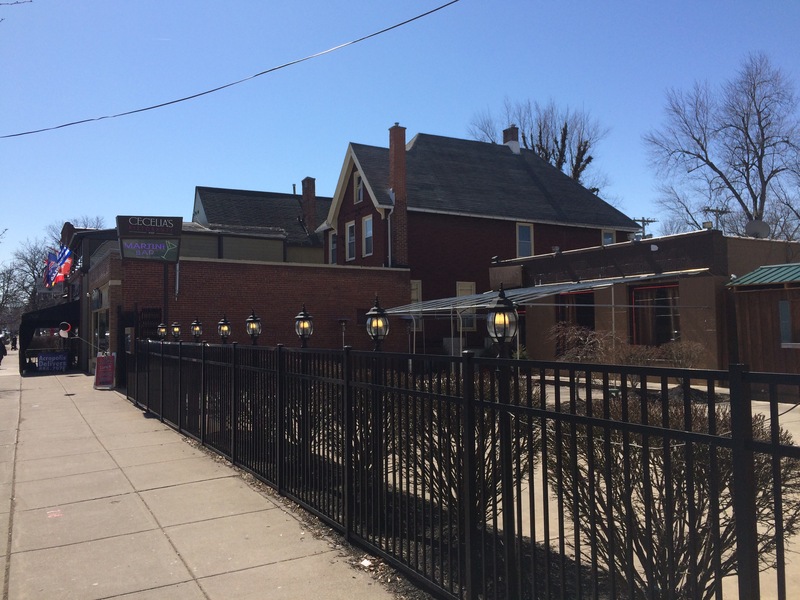 Also along this section of Elmwood is Blue Monk. I had a quick beer at the popular beer bar after Cecelia’s, but we didn’t stay long. We’d purchased some sponge candy at Watson’s and were itching to get back to Resurgence to pair the candy with the brewery’s stout. Today marks 113 years since the film A Trip To The Moon was first shown in France! The short film was written and directed by Georges Méliès and was an immediate inspiration to other directors of the era. 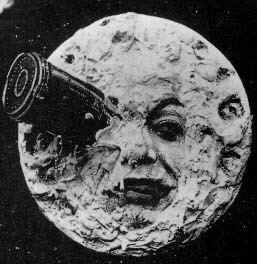 Various film scholars have suggested that Méliès was heavily influenced by other works, especially Jacques Offenbach’s operetta Le voyage dans la lune (an unauthorized parody of Verne’s novels) and the A Trip to the Moon attraction at the 1901 Pan-American Exposition in Buffalo, New York. 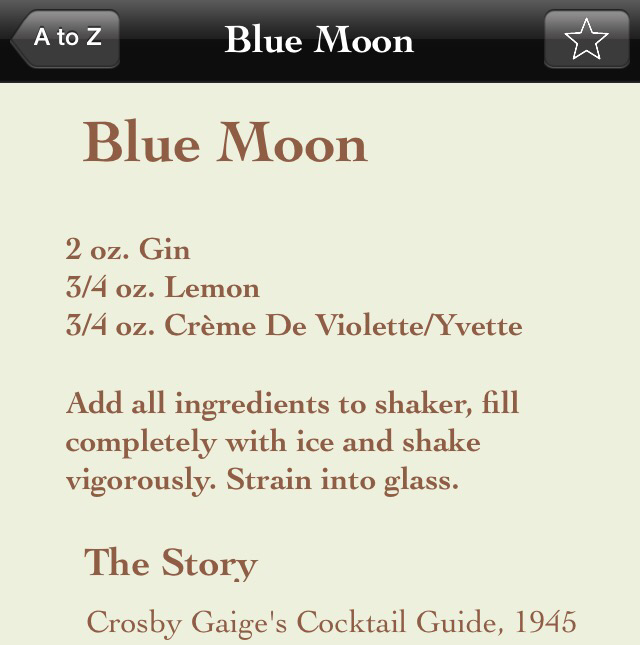 To mark the anniversary of Méliès’ short film, why not shake up an appropriately-themed cocktail like the Blue Moon. 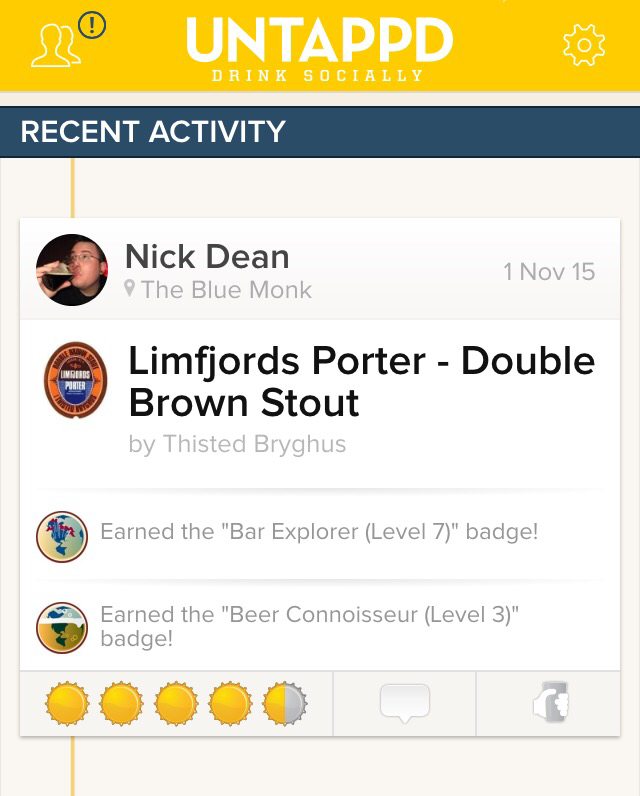 I found the Blue Moon using my Bartender’s Choice app, which was created by Sam Ross of Milk & Honey. The drink is a simple three ingredients, gin, lemon juice and creme de violette — all shaken and strained into a cocktail glass. 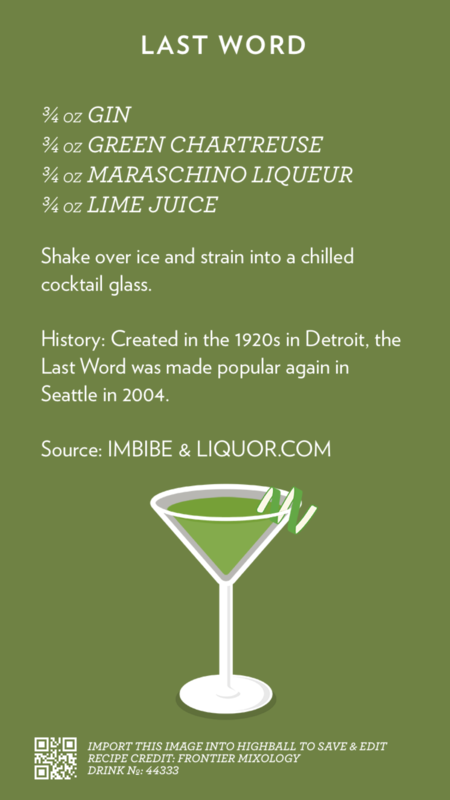 Imbibe Magazine lists pretty much the exact same drink here, but with slight scaling back of the lemon juice and creme de violette (citing Ted Haigh’s updated recipe from Vintage Spirits & Forgotten Cocktails). 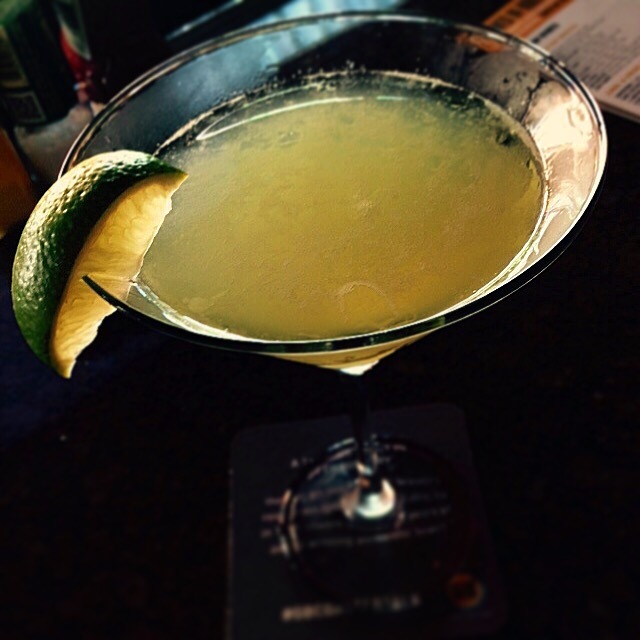 Gin, green chartreuse, maraschino liqueur and lime juice. This was my first time tasting green chartreuse. 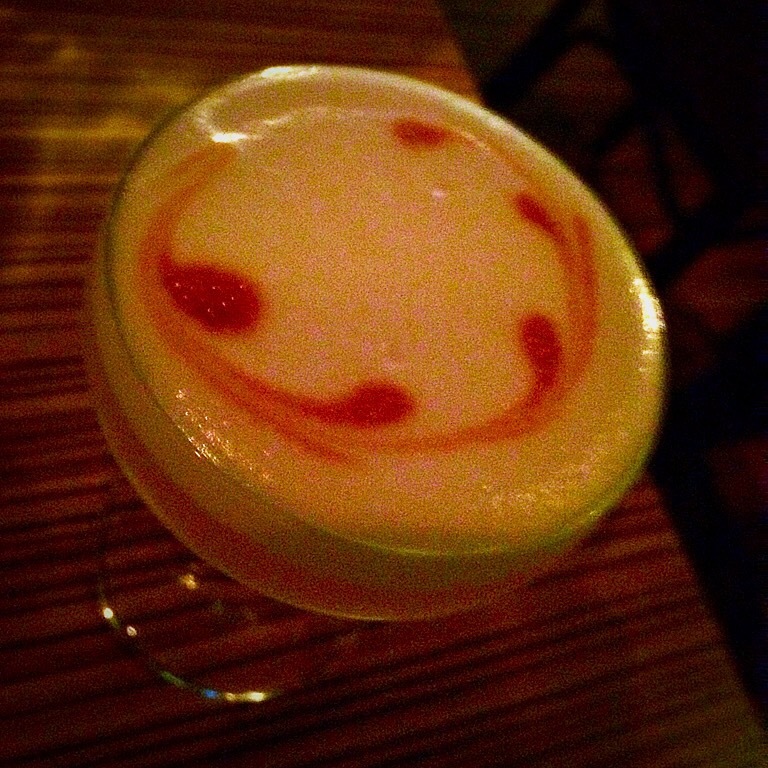 Though the green chartreuse was in a cocktail and I wasn’t tasting it alone, it’s herbal flavor definitely came through. I look forward to my next chance to try some — either in a cocktail or on its own. •Green Chartreuse (110 proof or 55%) is a naturally green liqueur made from 130 herbs and plants macerated in alcohol and steeped for about 8 hours. •Yellow Chartreuse (80 proof or 40%) has a milder and sweeter flavour and aroma. —A look at its popularity as a shot. Last night I saw Neil Diamond at First Niagara. It was a whirlwind 24-hour trip with my wife and her mother, but we managed to do quite a bit of drinking, dining and shopping during our overnight stay. First up was some spiced rum in the hotel room and then an Ithaca Flower Power IPA and a Sierra Nevada Torpedo at the show. There was more beer to follow, much more… But everything after “Cracklin’ Rosie” was pretty much a hot mess and, most importantly, what I really want to write about here is Queen City Shaken & Stirred. Before I get to that though, here’s what The Buffalo News had to say about the concert. At some point when I was writing my post Monday about Buffalo Proper, I stumbled upon info about Queen City Shaken & Stirred — a boutique supply shop for bartenders and home mixologists. 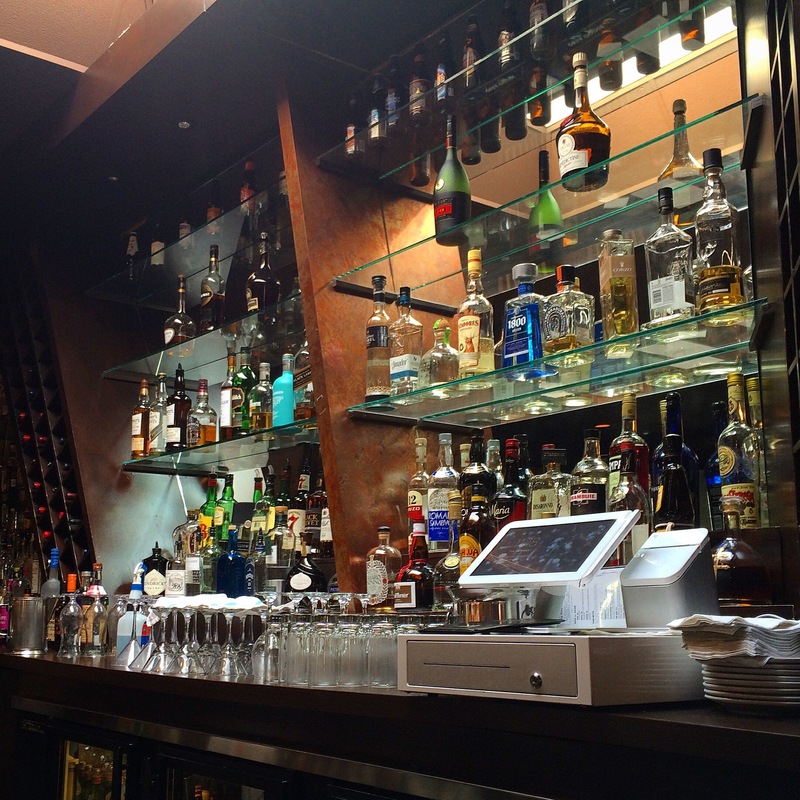 If you like barware and craft cocktails, then Queen City Shaken & Stirred is going to be your new favorite store. If you’re in Buffalo, just remember that the shop’s not far from Elmwood — and is located at 1455 Hertel Avenue. Look ’em up online here. It’s not hyperbole or even cliche of me to write that I was like a “kid in a candy store.” I wanted everything I saw, even the things they were selling which I already own. The only thing that kept me from grabbing everything I saw was making a promise to myself that I’ll return as soon as possible. I was politely greeted when I entered the shop, and the two people working gave me enough personal space to browse comfortably — checking up on me only once or twice and even offering helpful info about out-of-stock items. Everything about the experience was very chill. The items in the shop are perfectly displayed, almost in a minimalist sort of way. When I had questions, staff had answers. We chatted briefly about the vintage and unique booze bottles on display… And had I known then what I know now from checking out the shop’s Instagram page, I would’ve asked about the occasional classes and speakers they host. What specifically was there to buy? Well, pretty much any fancy glassware a person might need, but also an impressive selection of bitters and flavored syrups (not to mention tools like jiggers, bar spoons, ice molds, Hawthornes, julep strainers, shaker tins and mallets).